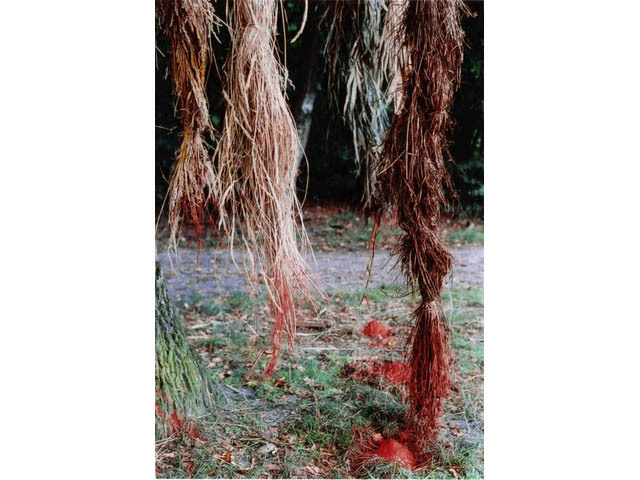 Woven plants suspended from a tree, red pigments. In the context of “Measure and Excess”, I wished to represent the religions that sacrificed, some thousands of years ago, on the altar of the patriarchy, the Great Goddess who mediated for and initiated man. Sacrifice of the feminine, sacrifice of the soul of the world, a soul that had become captive, with no pregnant image, no veritable idea of who She is. I have thus proposed a representation of that loss. This is an attempt at a mythical experience, which asks us to leave instrumental reason behind. The cut tresses of the ancient Goddesses, Tiamat, Cybele, Isis, Demeter, hang from the branches of a tree, an ancient shrine. 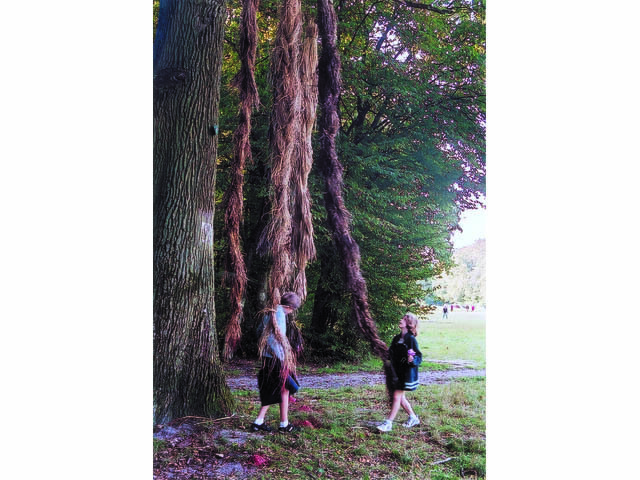 The tresses were made from plants and soaked in red ochre pigment before being hung from the tree. Tears of blood run down the tresses, spread on the ground and soak into the loam.